It is a powerful program with latest tools for development in Java, Scala and Groovy. This wonderful tool employs latest technologies to help the user create mobile and web based applications. It is a complete tool for developers. Features: It offers brilliant frameworks and deployment tools for servers. It has outstanding built-in developer tools. It supports Maven, Gradle and STS. It also features easy tools for mobile and web development. This software has refactorings, a decompiler and an inline debugger. This effective software comes in two versions- Community edition is free to use and Ultimate editions is free for a period of time. This is a fast and easy software for developing desktop, mobile and web applications using Java. It also lets the user create HTML5 applications. Moreover, it also provides tools for development in C++ and PHP. Features: It supports latest tools and technologies. It also offers fast and smart code editing, easy and efficient project management, rapid user interface development and debug options. This software supports multiple languages, many platforms and community provided plugins. This free and open source software is used by a large number of people around the world. 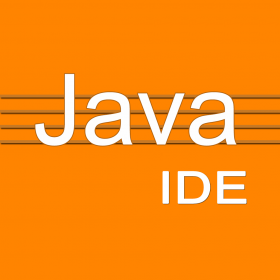 It is a free to use Java IDE for developers. This tool is fast, smart and gives a wide range of functionality to the users. It comes with a user-friendly and customizable interface. Features: It allows the user to compile and debug the program from the editor environment. It provides the tools to create programs including project management, viewers, tabbed documents and JDK profiles. It has a configurable user interface and offers a comprehensive set of code editing tools. NaviCoder allows the user to create sophisticated applications in an easy manner. This is a fast and accurate IDE designed to be used on Windows. It can be used along with different Java developer kits by configuration of Java Development Kit profiles. Its automated features make it a very fast program. Features: It has an intuitive and customizable user interface. It features project management, debugger interface, class/package viewer, code completion, editor with syntax highlighting and other tools for development. This software enables users to efficiently create, modify and manage codes. This is now called SnapCode. It is an IDE and Rad tool for educational and developmental purposes. This software is a very handy tool be it for entertainment or education. Features: It creates apps quickly and provides a drag and drop interface. It allows the user to design user interfaces, pages, forms, reports, schemes, tables and queries. It has options to import, manage and manipulate data. It enables browser style apps and simplifies UI coding and data management. This software is ideal for both teaching and learning Java programming. It can also be used for enterprise purposes.